To Fit: Saab 900 1979 to 1993 all models without anti-roll bar fitted. Does the handling of your car feel a little tired? This kits provides the necessary bushes to replace practically all of the front end suspension bushes on your car, at a fraction of Saab OEM prices. 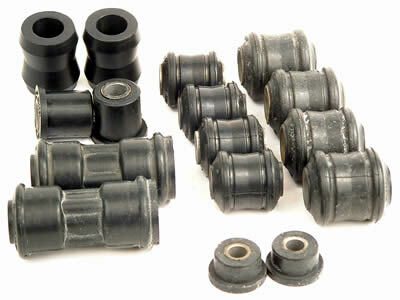 All bushes supplied with this kit are original equipment quality, Swedish supplied aftermarket bushes.